Located in the state of Maharashtra, the Bhadra Maruti Temple is a Hindu temple dedicated to the Hindu deity Hanuman. 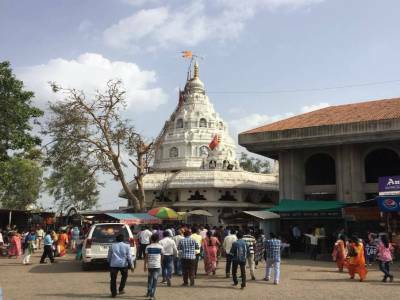 The Bhadra Maruti temple’s exact location is in Khuldabad, in close proximity to the famous Ellora Caves, only 4 kilometres from the latter. 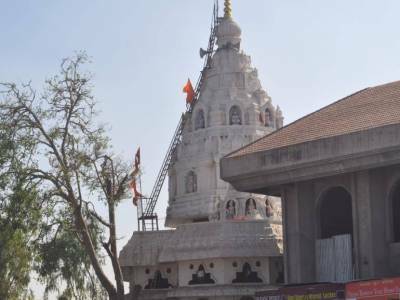 From Aurangabad, the Bhadra Maruti temple is at a distance of 26kms. The shrine of the deity Hanuman has been presented in a sleeping posture. This is only one among the three places where Hanuman is portrayed in such a fashion. The other two are located at Madhya Pradesh and Allahabad. 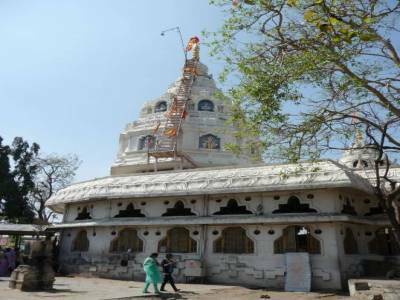 The Bhadra Maruti temple has in course of time become a big tourist place near the city of Aurangabad. During auspicious occasions and events like Rama Navami and Hanuman Jayanti people not only from Aurangabad but from many parts of India assemble to show their devotion in the form of offering Puja. Folklore has it that the place Khuldabad used to be known by a different name called Bhadravati whose ruler was a noble and generous one named Bhadrasena. Now, Bhadrasena was a huge follower of Lord Rama and used to glorify His name through various devotional songs. 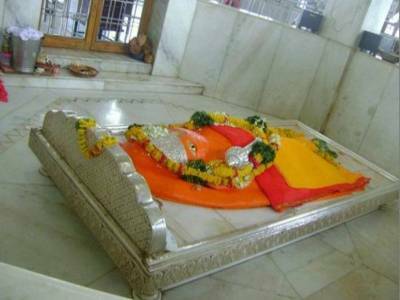 On one such day when he was singing a song of Rama, Hanumanji descended in the spot. He was so mesmerized by the song sung in the praise of Rama that he went on to take a reclining posture. After finishing his song and seeing Hanumanji in front of him, he was really surprised and spellbound. Then he ardently and most earnestly asked Hanumanji to stay there forever with the purpose of blessing Lord Rama’s and His devote and that was how the temple has come into being. It is indeed one of the most famous temples of Lord Hanuman. It really stands tall as one of the top temples in the area of its location. 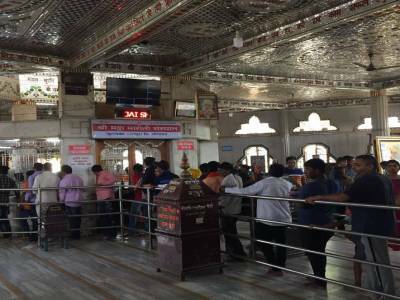 Get quick answers from travelers who visit to Bhadra Maruti Temple.